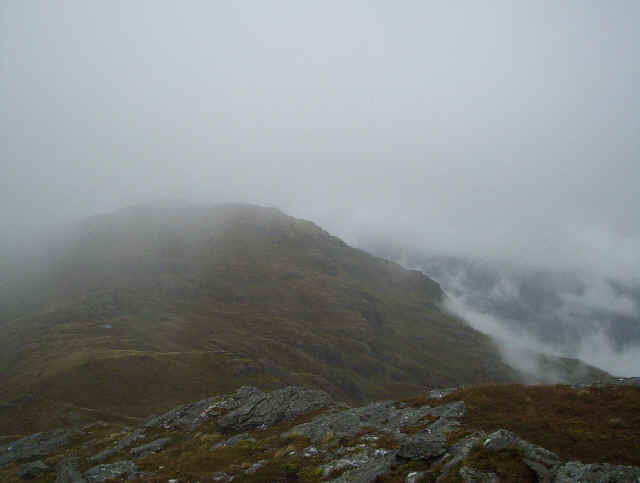 In October 2007 I climbed Ben Vorlich from Ardlui station. 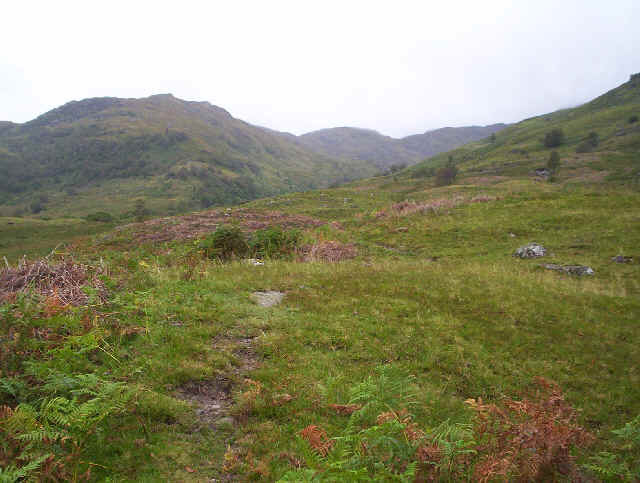 The walk starts with a short (200m) ,but rather unpleasant, section of road walking along the A82 until the access road to Garristuck cottage. 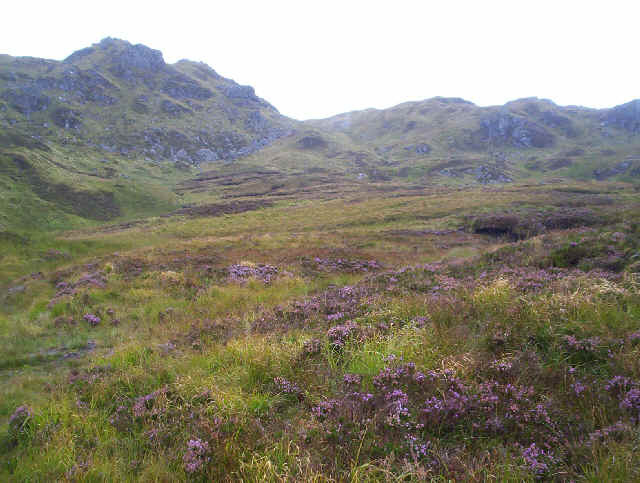 Go under the railway and then in a south-westerly direction up into the corrie, keeping to the north west side of the stream that drains Coire Creagach. 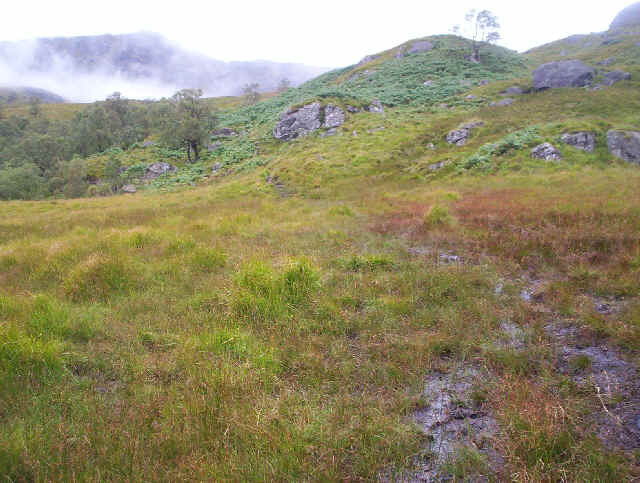 There is a rough but intermittent path in parts which is enlivened by the need to cross a couple of very small dams associated, I believe, with the Inveruglas power station. A bit boggy in places! Once onto the ridge there's a reasonably good path most of the way, although I succeeded in loosing it in places, especially on the way down. 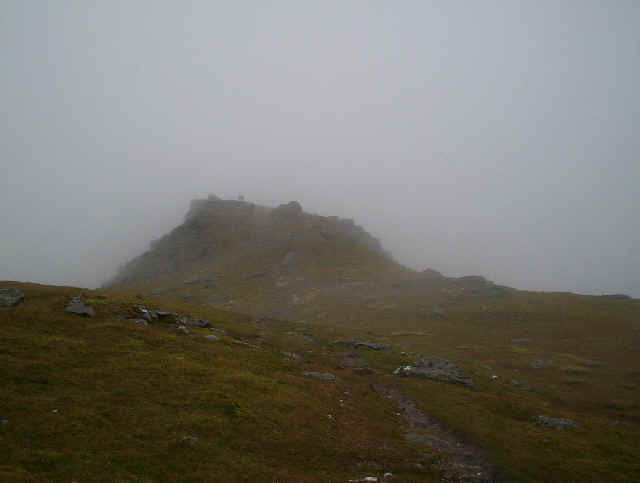 As can be seen my walk was not blessed with good weather or views, but this gives and idea of the terrain on the climb to the summit. 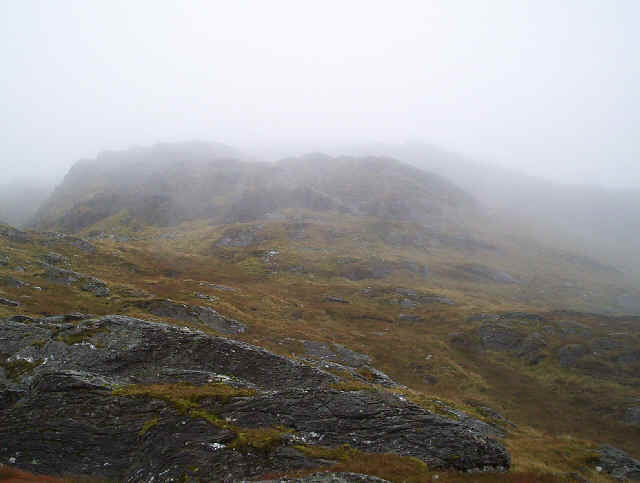 On a few occasions the track makes a beeline for slabs of sloping rock; I just skirted around them. 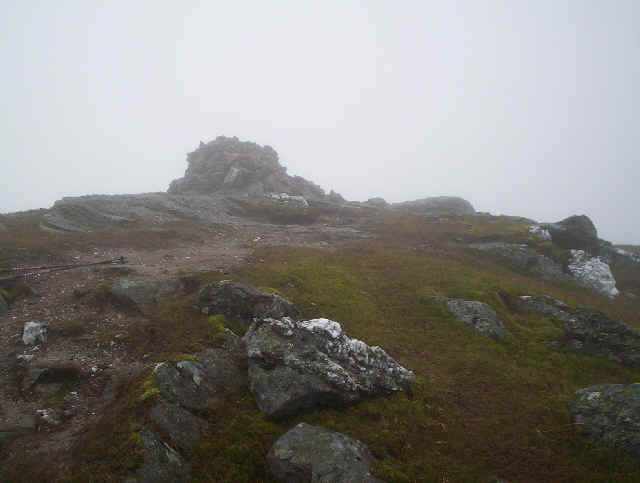 I walked on to the triangulation point. Whilst I was eating my lunch I heard sounds - strange sounds! 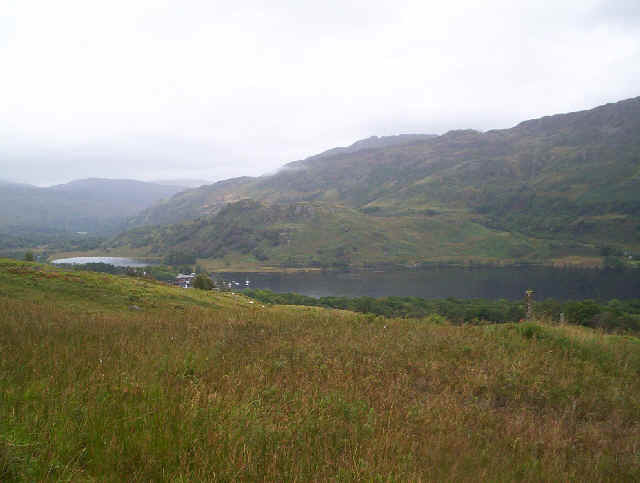 Then a group of walkers appeared who had climbed up from Inveruglas appeared complaining how steep the climb was. You can just make them out standing near the summit. Although cloud spoilt the views occasionally it cleared away in patches and I was able to see down to Loch sloy in the west and to Loch Lomond in the east. 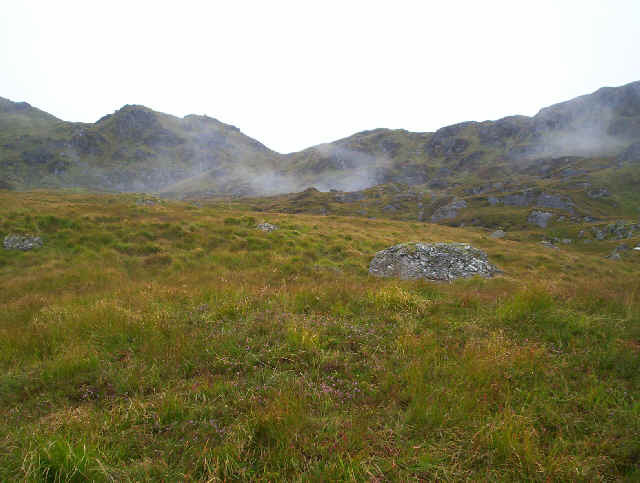 This photo is taken on the way back down to Ardlui. 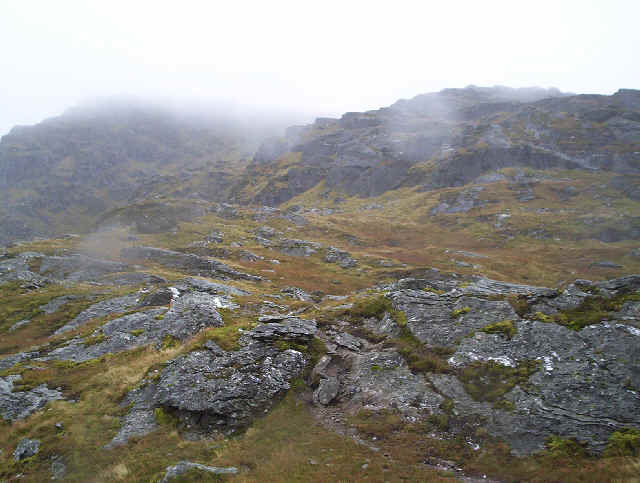 The crags that drop down into the corrie with its lake can be seen on the left. 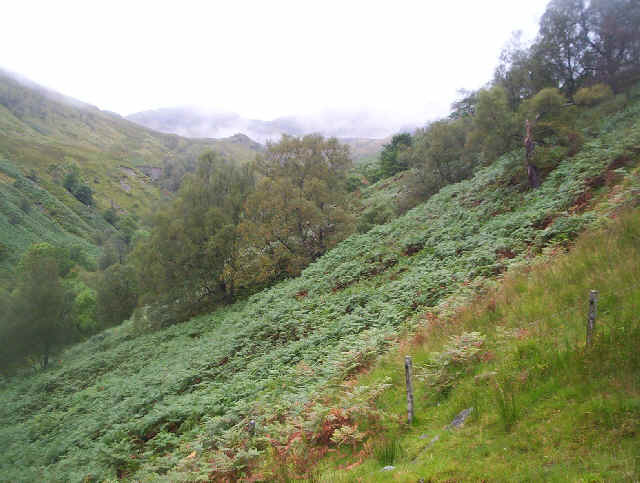 In places the path goes quite close to the edge of the crags but this is easily avoided if desired. 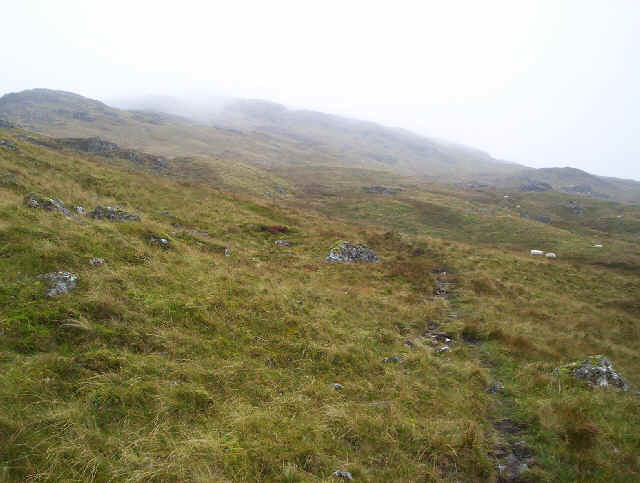 I did find route finding more difficult coming down the hill and kept loosing the track. It was now just a simple matter of retracing my steps to Ardlui station, a change of clothes and a hot cup of chocolate on the train back to Glasgow.